Take hair to new heights with the Joico Structure Glamtex Backcomb Effect Spray, a dry, lightweight spray that lends fine hair added volume. Providing long-lasting, layerable hold, the body-enhancing spray is perfect for adding volume to everyday styles, or for creating extreme up-dos without feeling heavy or greasy. Perfect for fine to medium hair of all lengths. Infused with a luscious fragrance. 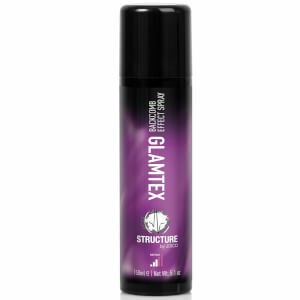 For 'backcombed' height and texture: Shake can well before use and spray on dry hair from a 15cm distance. Focus on the root area when applying the product. Style as desired. For enhancing texture and grip: Shake can well before use and apply all over the hair. Style as desired.